Green fruity olive oil, one of the positive attributes that provides tasters with specific flavours and scents depending on the original fruits and olive varieties. Symphony of sensations on the tongue. Green fruity olive oil constitutes one of the favourite varieties for gourmets and cooks, as its special notes of freshness give them a sense of authenticity. As with vinegars or wines, olive oils can also be appreciated on the basis of their components, particularly fruit quality or ripening level. In this sense, different categories can be established as for this product: green fruity olive oil, ripe fruity oil and even black fruity oil. Of course, these varieties could seem meaningless for non-specialised consumers, but they are quite significant for the cooking process. For example, green fruity olive oil is especially appropriate for salads and other raw food or recipes, as its composition entails a preferably non-cooked format. Therefore, its usage in toast, vegetables and similar dishes is widely accepted, entailing as well a healthy tradition in Mediterranean areas. On the other hand, concerning its composition, green fruity olive oil arises from green fruits that have been taken directly from the tree, before their fall onto the ground, not to forget that some fruits are better than others for this attribute to be achieved. Furthermore, its greenish colour and its fruit scent along with a subtle bitterness and piquancy make green fruity olive oil the best option as a raw olive oil. However, other options are better for frying, baking or any other cooking system. As opposed to green fruity olive oil, ripe fruity oil is commonly identified as the ideal variety for cooking. This means that recipes entailing any of the cooking modalities will be preferably prepared by using this type of olive oil. Concerning its visual features, we can identify the ripe fruity oil when looking at its colour, because it varies from gold yellow to deep amber or even brown. Moreover, the scent normally arising from this variety reminds us of flowers, lemon tree or almonds. Regarding its composition, whereas green fruity olive oil is compounded by early fruits, ripe olives are used to achieve the ripe fruity olive oil attribute or even the black fruity oil if the ripest fruits are chosen. In fact, the olive oil final colour will depend on this choice. In conclusion, both green fruity olive oil and ripe fruity olive oil constitute popular and ideal varieties for our diet, above all in view of their health benefits and the symphony of sensations they cause on our tongues, Nevertheless, each one should be used for different purposes and recipes. That’s all! This entry was posted in Olive oil review and tagged bitterness and piquancy, black fruity oil, black fruity olive oil, green fruity olive oil, ripe fruity oil, ripe fruity olive oil on March 8, 2013 by Manuel Gallego. What is extra virgin olive oil? This is a top ten product, an essential element for the Mediterranean diet and a basic ingredient for your health. What is extra virgin olive oil? This is a question that maybe some of you have asked when referring to the ideal ingredient for salads or toast, but really not everybody in the world has a clear idea about this product’s composition or benefits. Evoo is the base for the Mediterranean diet and a clear example of health presented as golden liquid. Anyway, if you ask this question, what is extra virgin olive oil? anywhere in Spain, probably everybody will give a quite accurate answer, as it is a really well-known and popular product here. However, in some other countries this concept could be simply enigmatic. Extra virgin olive oil or Evoo, to be short, is a high-quality vegetable oil whose antioxidant proportion makes it the king of Mediterranean diet and the prince of the Spanish most ancestral traditions in gastronomy. Which is the difference between ordinary olive oil, virgin olive oil and extra virgin olive oil? Of course, quality, as usual. Particularly, what is extra virgin olive oil? It is the olive oil attaining the best quality standards in this area, not just concerning composition and taste, but also regarding acidity and health benefits. In this sense, it is important to remember that Evoo is produced by using perfect maturity status olives, whose properties are the best among the best. On the other hand, one of the commonest aspects being ascribed to Evoo is its exclusive character and its expensive price. Nevertheless, we are not used to comparing the real quality and this product’s price. So for the question what is extra virgin olive oil? some consumers provide a fixed reply: this is the type of vegetable oil I cannot afford. To this respect, some tests can be done to find a counterpart for such a common prejudice. Evoo’s composition allows its properties to remain intact in spite of frying, grilling or baking processes. In fact, it doesn’t break down as easily as other oils, not to forget its texture and taste. So what is extra virgin olive oil? It is a mixture of special touch and magic flavour that make you save money and health. Moreover, what is extra virgin olive oil from commercial viewpoint? It is the product you will start to find at all the supermarkets around the world, since it is the star product providing oleic acid, phenols and vitamin E whose consumption entails a direct positive effect against oxidation rate. Concerning its health benefits, what is extra virgin olive oil and why is it so positive? No doubt, it is a key product, as it involves low-density lipoprotein levels, that is a notable decrease in oxidation. Therefore, it is a kind of preventive value tool. In conclusion, what is extra virgin olive oil? The secret of ethernal youth for human cells and the best option for all kinds of recipes. And what is extra virgin olive oil for the Spanish culture? Its both, an emblem and a heritage. This entry was posted in Olive oil review and tagged evoo, Extra virgin olive oil, golden liquid, Mediterranean diet, olive oil on February 28, 2013 by Manuel Gallego. Olive oil sprayer as a new presentation option constitutes one of the recent innovations in the olive oil market. You may think this new format is just a detail with no further significance, but the fact is that it allows us to control the calories included in each recipe, not to forget its comfort and the appearance it gives to salads and other gastronomy specialties. According to experts, using an olive oil sprayer is helpful to find out the olive oil benefits with no extra fat, sice the amount of product you use is always reduced to the minimal extent. To this respect, when some olive oil is sprayed on a frying pan or a plate base, the meals added onto them will become tasty in a really special sense, but the calorie content will not be increased. Indeed, light olive oil is arranged just by resorting to an olive oil sprayer. This presentation option can be directly found in stores and specialised shops. However, you can also buy the olive oil dispenser in the format you prefer and fill it with the golden liquid. Anyway, whatever you choose instead of the typical olive oil bottle, the result will entail a high quality product applied in the proper amount. Of course, using an olive oil sprayer on your favourite meals is beneficial for your health and comfortable in your daily routine, for example to dress a salad or for grilled meals. Therefore, cooking with olive oil is both a healthy possibility and a tasty choice. From psychological viewpoint, using an olive oil sprayer is like dispensing health every day. Under the last studies we know that olive oil, and especially extra virgin olive oil, is considered to be one of the star products included in the Meditarranean diet. In this sense, it constitutes one of the main sources of antioxidants, vitamin E and oleic acid. Consequently, if you use an olive oil dispenser, you will be able to control the amount of fat included in your diet, taking into account it is compounded by a vegetable oil scientifically conceived as a monoinsaturated fatty acid. Definitely, the new presentation in the form of olive oil sprayer can be considered as a kind of health counter, as the controlling device will be in your hands. Nevertheless, don’t give up enjoying the authentic olive oil flavour. Use an olive oil sprayer. It’s your right, it’s your taste pleasure. This entry was posted in Health benefits and tagged best cooking olive oil, cooking with extra virgin olive oil, cooking with olive oil, frying with extra virgin olive oil, frying with olive oil, light olive oil, olive oil, Olive oil benefits, olive oil bottle, olive oil dispenser, olive oil flavour, olive oil health benefits, Olive oil market, Olive oil products, olive oil sprayer on February 18, 2013 by Manuel Gallego. 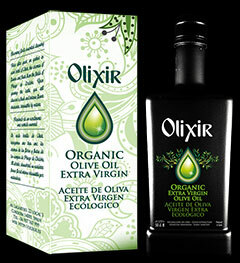 Comprar aceite de oliva virgen es posible en todas partes. Tal vez pienses que el enunciado anterior constituye únicamente un lema promocional empleado por cualquier empresa productora de aceite de oliva, pero lo cierto es que se trata de un hecho probado por parte de diversos colectivos de expertos. De todos modos, aquellos que tomen el famoso oro líquido en una ocasión, seguramente continuarán empleándolo en sus propias recetas, probablemente por su incomparable sabor y su distinguido aroma. Sin embargo, para los que comparten la idea de que comprar aceite de oliva virgen podría resultar complicado se dirige el presente artículo, cuyo objetivo es propiciar un peregrinaje real hacia la salud. Lo cierto es que el mercado del aceite de oliva se está ampliando hasta el punto de presentar un alcance internacional, pero hasta no hace demasiado tiempo los consumidores de algunas zonas concretas registraban algunas dificultades para poder comprar aceite de oliva virgen. En ese sentido, cabe recordar que la mayoría de las recetas que se engloban en la dieta Mediterránea incluyen este producto, aunque los beneficios el aceite de oliva virgen están reconocidos en todo el mundo. Si no tienes por costumbre incluir este producto en tu lista de la compra o simplemente no lo encuentras en el supermercado, no tienes por qué preocuparte; ya que esta circunstancia está a punto de cambiar. De hecho, si no resides en un país mediterráneo, también tendrás la oportunidad de comprar aceite de oliva virgen. Los productores de aceite han descubierto que las nuevas tecnologías constituyen la oportunidad perfecta para comercializar el producto y compartir su tesoro: el oro líquido. Por tanto, no tienes más que emplear tu ordenador para contribuir en el equilibrio de tu cuerpo. This entry was posted in Beneficios para la Salud on February 4, 2013 by Manuel Gallego. Buy extra virgin olive oil if you want a perfect health! Maybe you could think the previous statement is just a slogan promoted by an olive oil production company, but it is a proven fact according to the experts. Anyway, if you take the golden liquid once, you are supposed to carry on using it in your recipes and meals, probably due to its special taste and aroma. However, you may think that you cannot buy extra virgin olive oil as easily as you would like; hence this article to help you in your pilgrimage to health. Indeed, olive oil market is being expanded all over the world, but until very recently many consumers found it difficult to buy extra virgin olive oil in some areas. In this sense, it is important to remember that most of the Mediterranean diet recipes include this product, although extra virgin olive oil benefits are recognized eveywhere. This entry was posted in Health benefits and tagged best evoo to buy, best extra virgin olive oil to buy, Best olive oil to buy, buy evoo, Buy extra virgin olive oil, buy extra virgin olive oil olive oil benefits, buy olive oil evoo benefits, evoo market, evoo price, extra virgin oil benefits, extra virgin olive oil benefits, extra virgin olive oil market, extra virgin olive oil price, Olive oil benefits, Olive oil market, olive oil price on January 28, 2013 by Manuel Gallego.